With winter almost disappearing Mark and I were able to get back into the shed last Monday. I'd been hankering for a game of Pike & Shotte for most of the winter and Mark kindly agreed to pit his Royalists against my Parliamentarian forces. As always we randomly generated the forces with each side limited to 24 units across four brigades. The card gods threw up some unpleasant surprises - both sides fielded a large number of cannon and I for my sins ended up with only two pike blocks and a wealth of dragoons and muskets. Upon reflection the Royalist force was much more balanced and by virtue of a single high die roll chose the more defensible of the two sides. The engagement was quite simple the side holding the Powder Mills at the end of the evening won the game , As you read through the AAR I apologise now that the game was not fought to a conclusion - we ran out of time. However I am committed this year to report all of the Shed battles. Next Admission: I forgot to take a picture of the total battlefield but suffice to say the Mills were sited in the middle of the table alongside a fordable stream. All units bar artillery could cross the river with a six inch movement penalty and charge bonuses negated to any attacker assaulting the opposing banks. 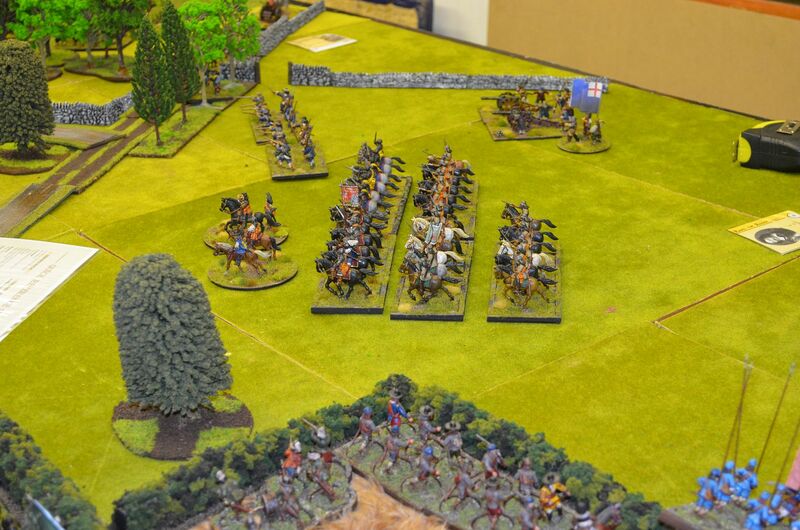 Our opening deployment usually ends up with the opposing cavalry forces facing one another however in this game the dearth of cavalry meant that this did not transpire. 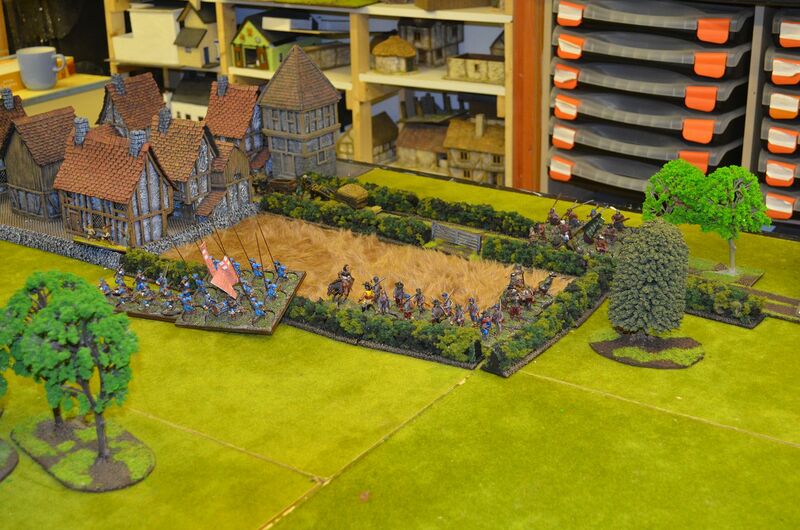 The Royalist left flank was anchored by the village in which Mark placed a number of clubmen units, a pike unit, his commanded shot and a musketeer unit. 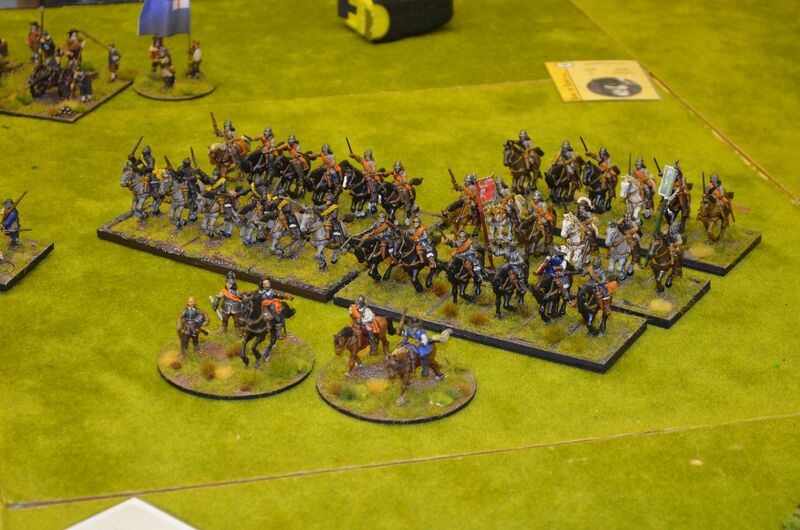 Facing them were the might of the Parliamentarian horse commanded by Essex with two Curassier units. 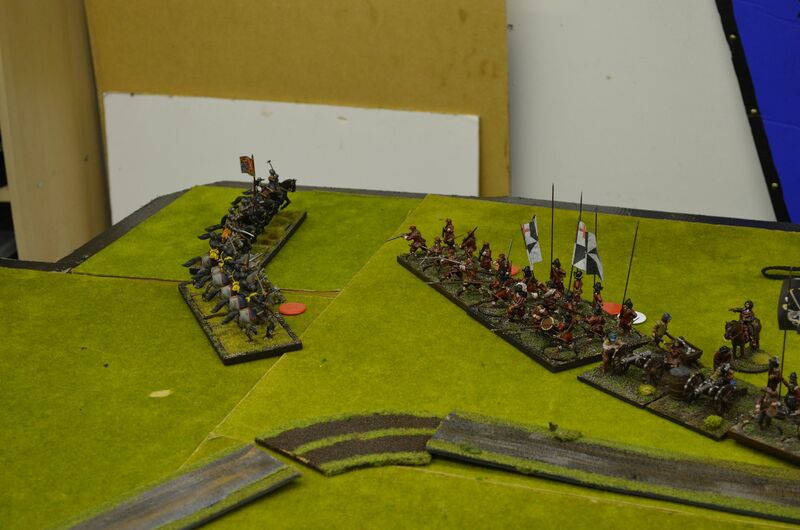 Realising that assaulting the village with horse and no infantry support was going to be a futile exercise I pushed my horse into the centre riding past the Kings jeering infantry. The target of my Horse was Marks centre battalion of infantry all nicely arrayed alongside the bridge leading to the powder mills. With no Royalist horse support nearby this was going to be different. Elsewhere I pushed my centre musketeer companies up the middle to offer support to my advancing horse. 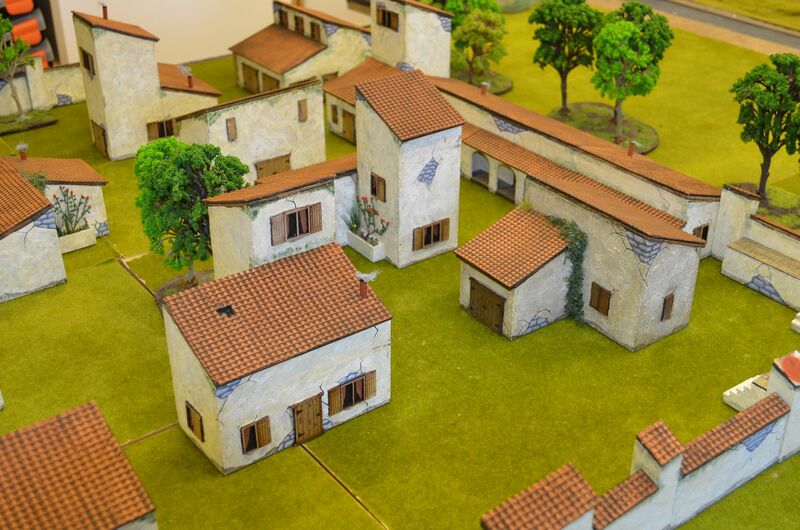 Units would be attached to the assault on the mill. 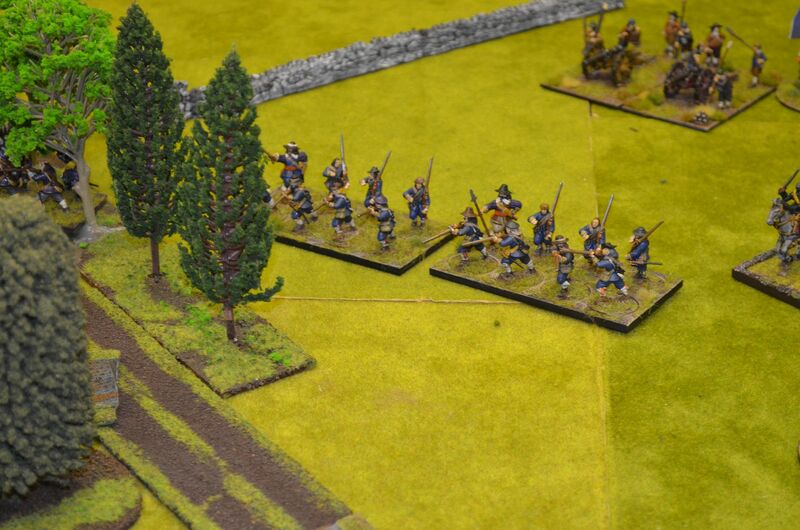 The infantry pressed forward taking advantage of the cover in the tree lined road. 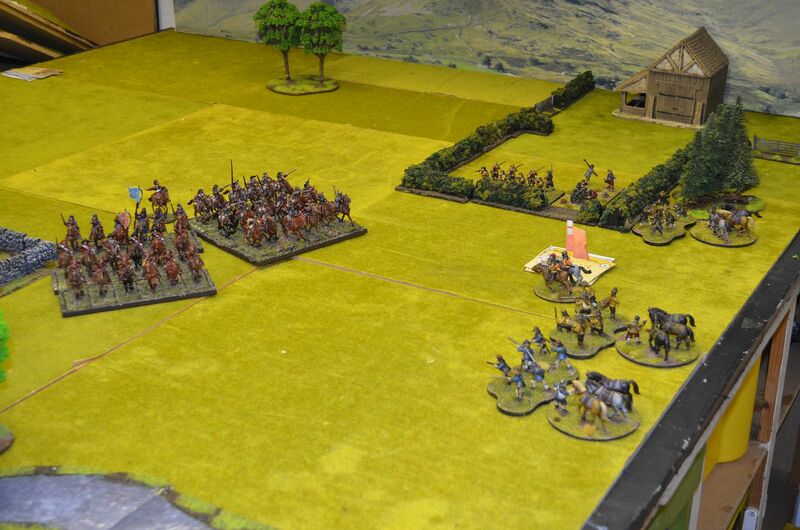 Over on my right flank things were not going so well. 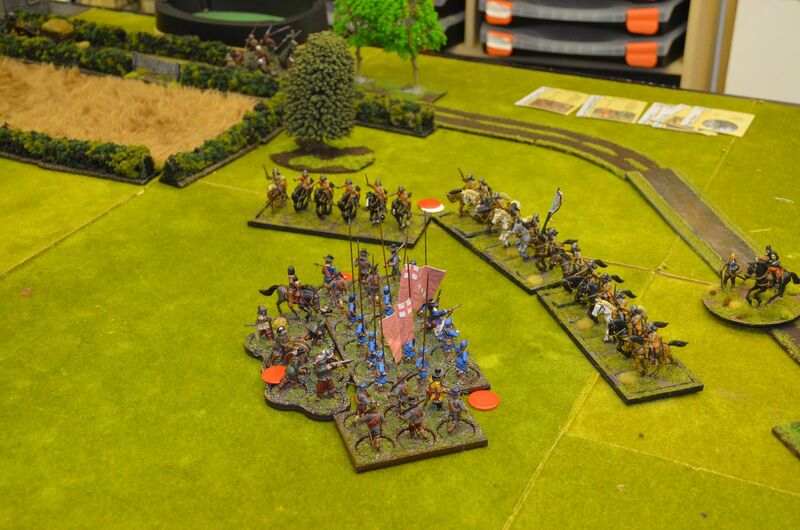 The Cavalier horse quickly disposed of my dragoons and were able to break this battalion in the following turns allowing the Cavaliers to threaten my centre across the river. By now Marks right flank in the village had no targets sdo his units left the safety of the field to target my artillery in the centre. 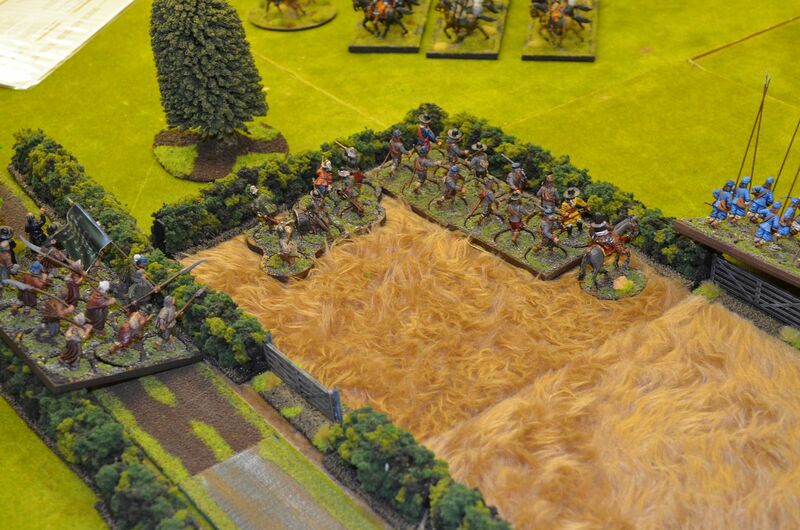 At this point the Rebel horse could charge the centre Kings infantry or about face and catch the Village battalion in the open. 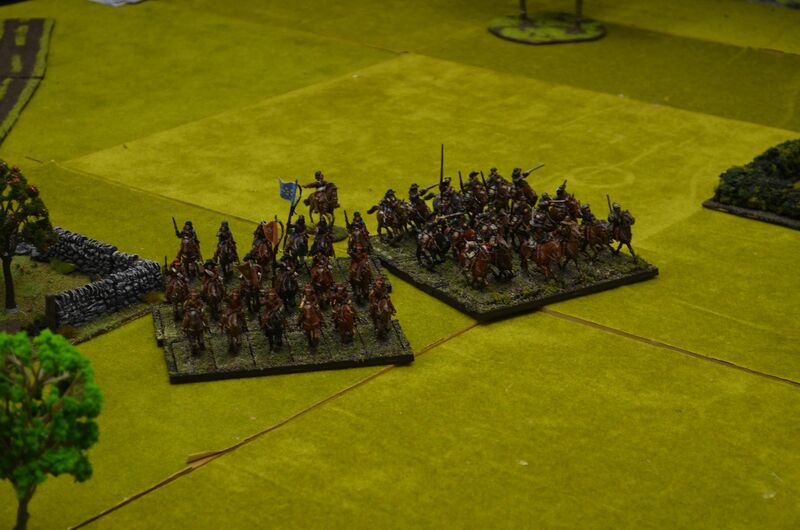 My musketeers had formed up and were beginning to have a telling affect on the forces arrayed in front. 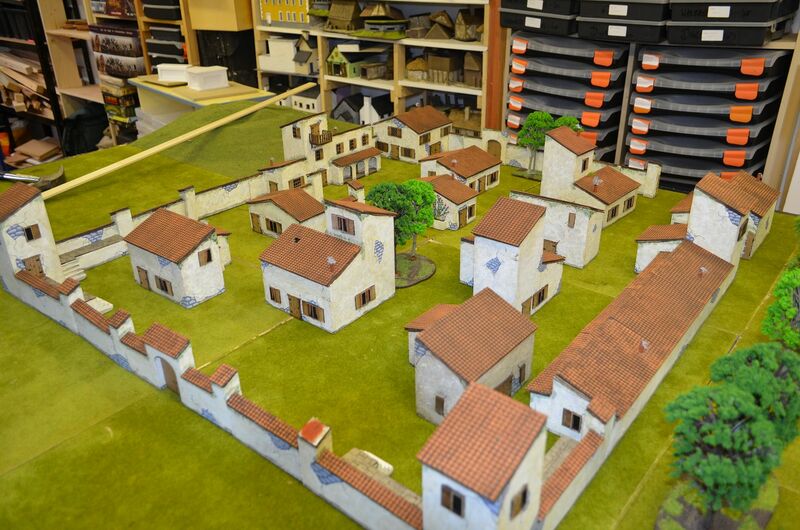 With a cry of onwards for God and Parliament the rebels attacked the ground around the mills. 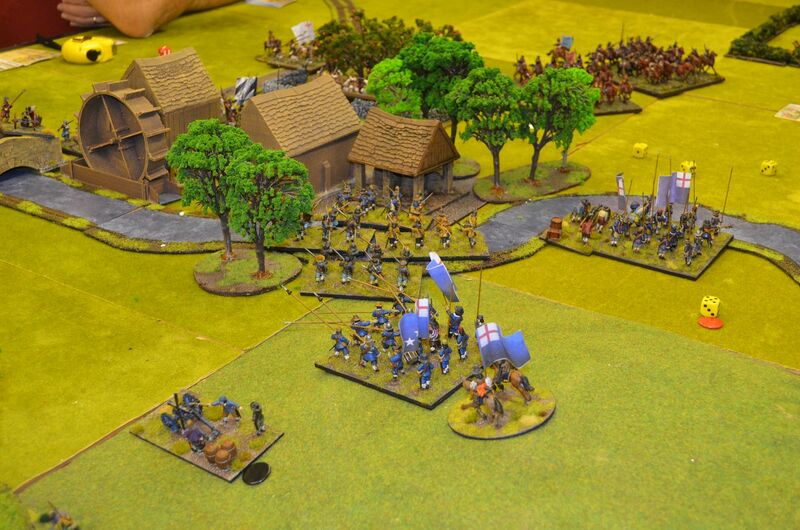 They surged towards the stream intent on pushing the Cavaliers from their defended positions. Blunder ! 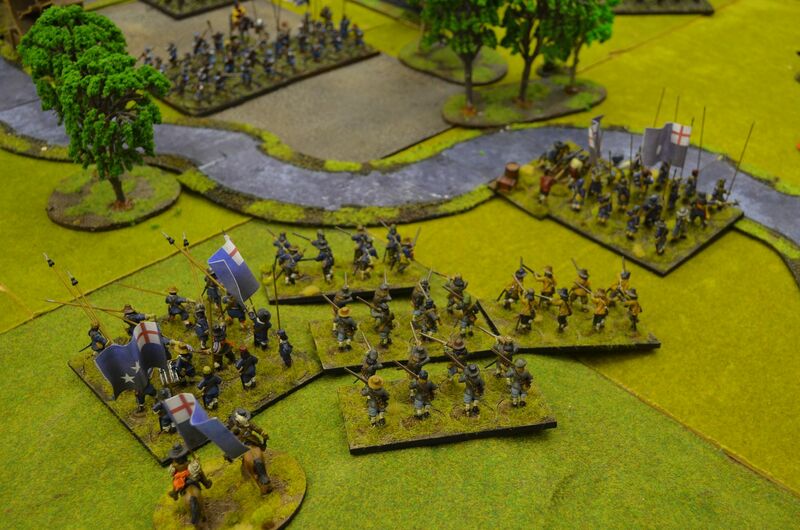 The advancing troops decided enough was enough and they retreated away from the Mill. Next turn they pushed forward again and a bitter melee ensued around the mill. 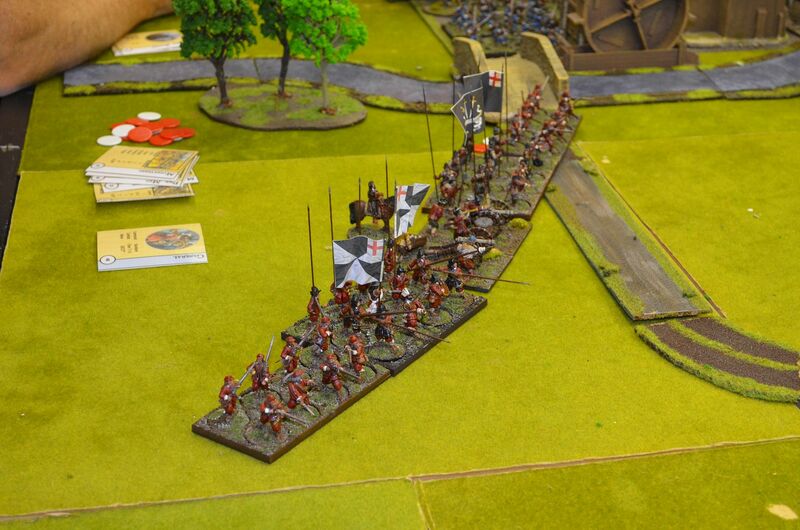 Back over in the centre half of my cavalry had forced the defending royalist infantry into a hedgehog - no way were we going to charge but the Caracole of the cavalry and the supporting musketfire were having a telling affect. 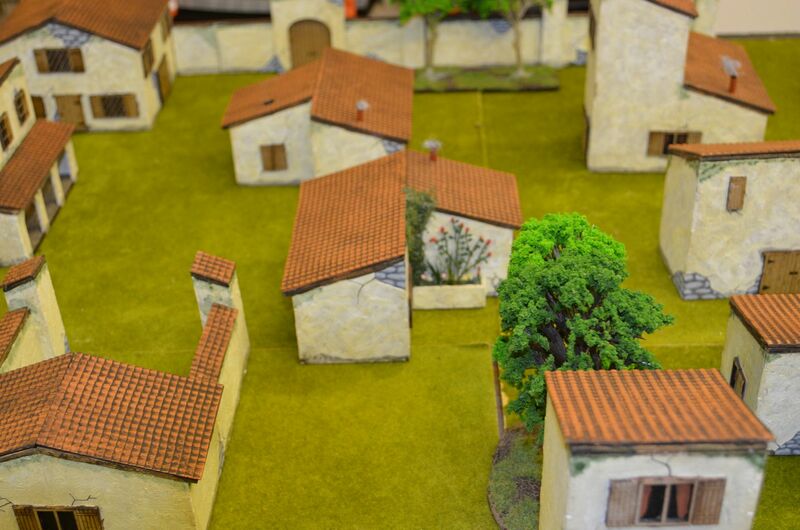 The other half had about faced and attacked the units moving from the village. Again these units formed Hedgehogs but they weren't going anywhere fast. Sadly the time we had allowed for game had elapsed and it was a nail biter - indeed it could go either way (Mark would argue victory was all but his given the Mill was still in his hands). With other games to be played in the shed we had to break this down and settle for a technical draw. As a point of reference we use red counters to denote hits, white counters for disorder and black counters for shaken units. 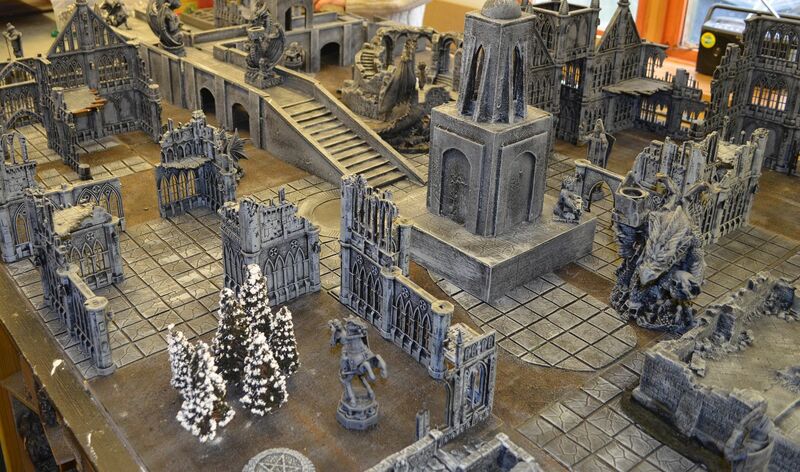 Its been ages since I have played Frostgrave and when my chum John mentioned that he and a friend of his had a session planned for Saturday afternoon I jumped at the chance to join in..
Rather than play out one of the scenarios they had decided on a cooperative game with us three players and our half strength warbands against the random monster table. Over the course of the afternoon the warbands would have to fight their way across the ruined city to other end - think British Bulldogs. Each turn the wandering monsters would have a further three added to their number. 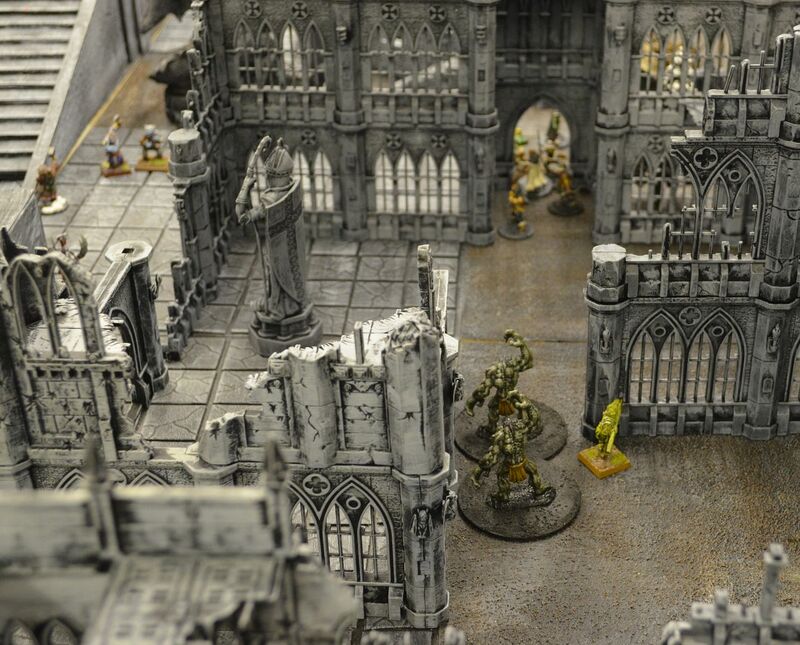 It all started off rather well and our half strength teams were able to deal out sufficient damage to those creatures on the board and then the position changed - John rolled a 100 and on toddled the Lich Lord and his retinue. 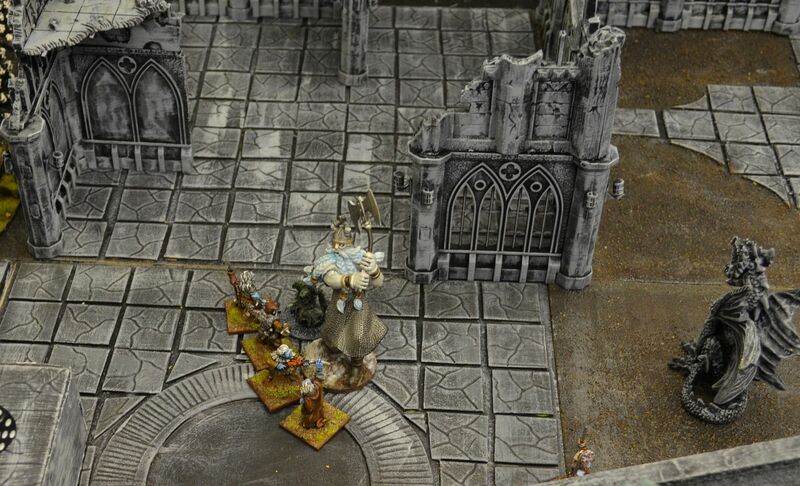 At this point our forces were being sorely tested by several Vampires and Frost Giants ! 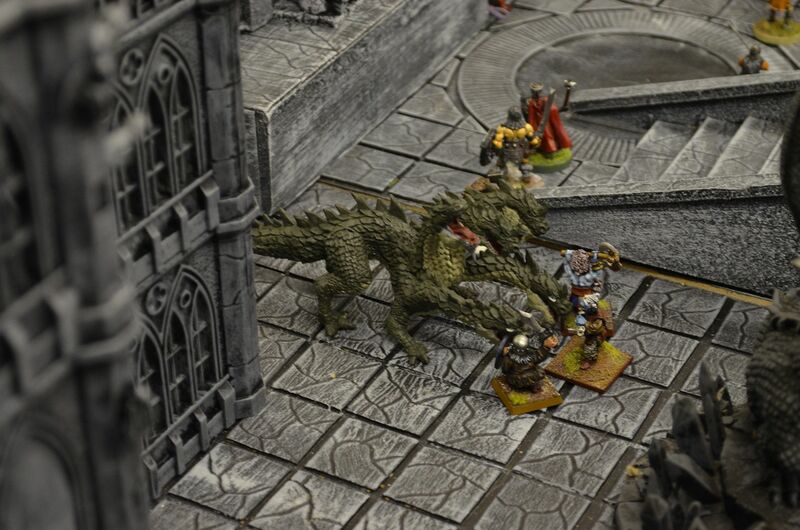 We quickly agreed the remaining members of the warbands could join in support. 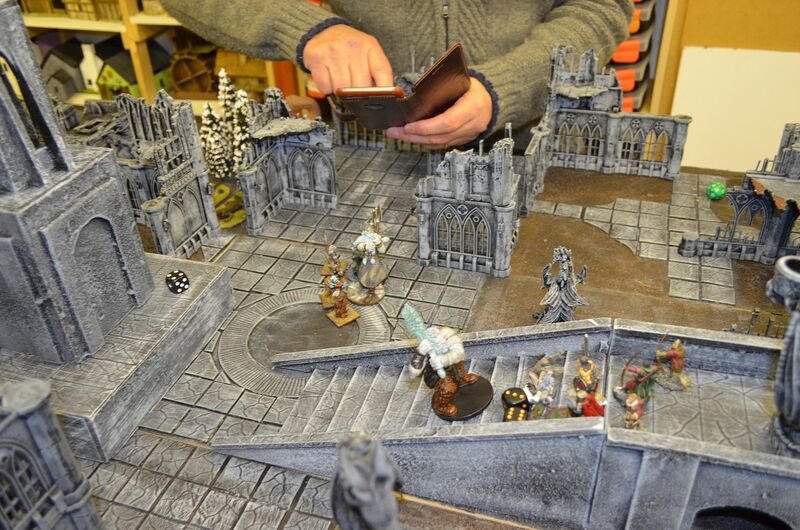 A spirited reseistance by the Lich Lord saw many of Colin's forces bite the dust but successive elemental bolts and bone darts eventually managed to drive the dark Lord from the table. A few months back my good chum Alastair bought along Congo to play in the Shed - it was great fun. This prompted me to go out and buy the rules. 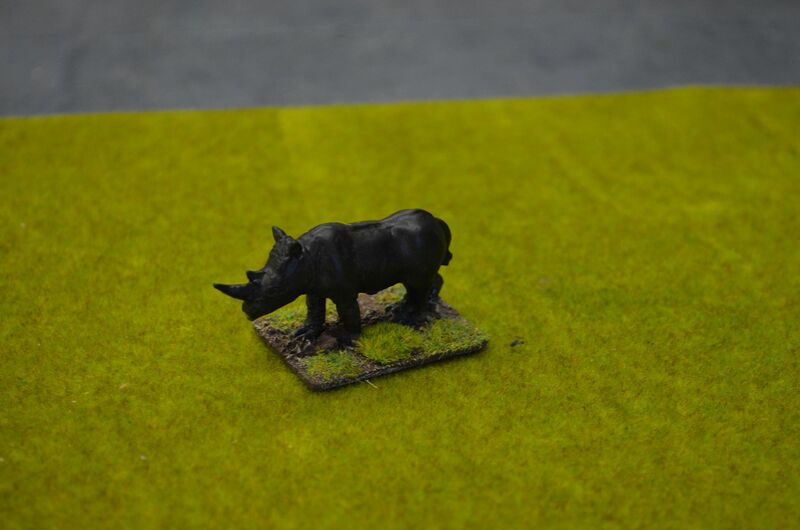 I think I have all the figures I need to create the forces using my pulp heroes for the white men hunters, my zulus for the natives and my arabs for the zanzibari slavers BUT I needed some African beasts. 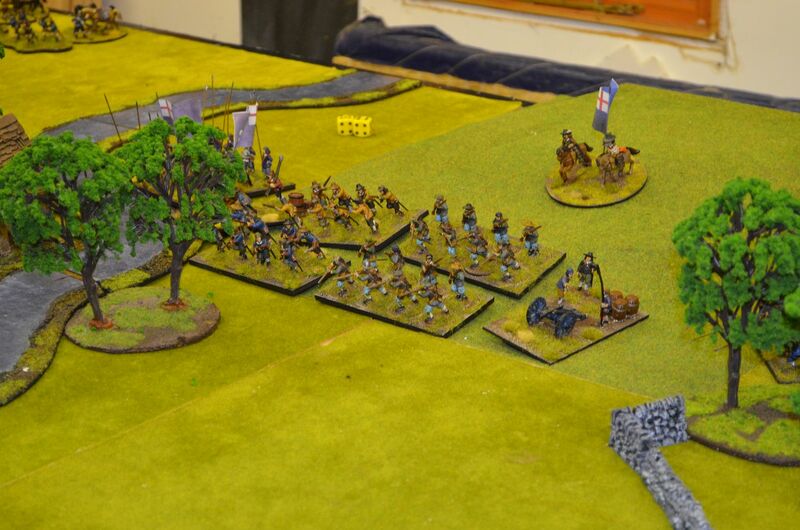 Its been almost a month since my last post on the blog and since we re-fought Isandlwana and Rorkes Drift back in January. 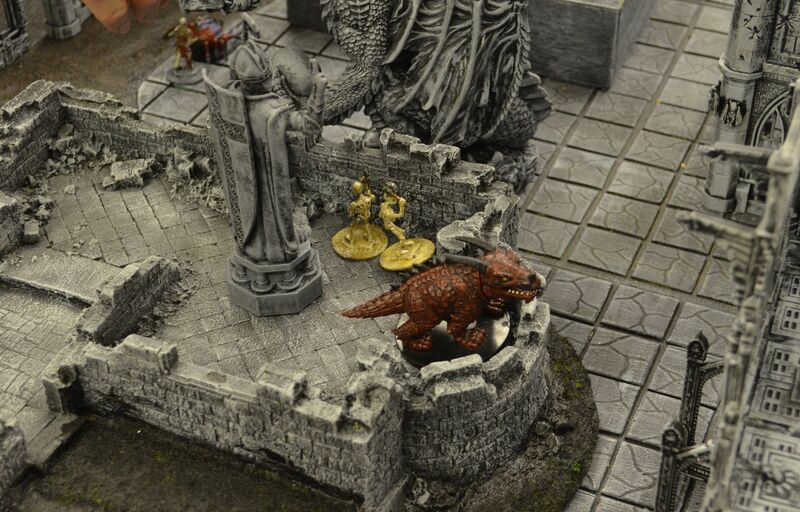 Work commitments and a sunny holiday in the Caribbean have meant much of my hobby time has been curtailed however I have been doing some bits and bobs over the last few weeks so this post is just a quick update. I have also made a start on my next project, yes I know the Jason one isn't finished (more on this soon) but like all good wargamers we tend to flit from one period to another. 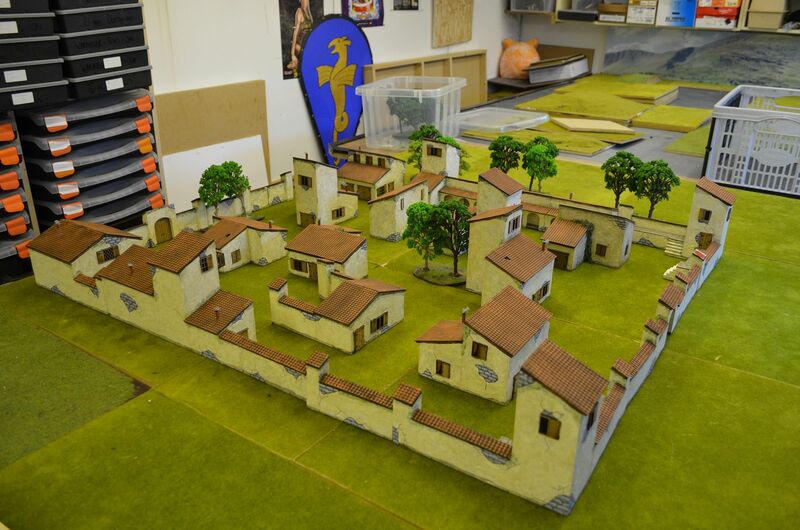 This project was prompted by two key events - the first was the release of the Chosen Men ruleset by Osprey and the second was a wonderful acquisition I procured on ebay - a complete Spanish town for £80. 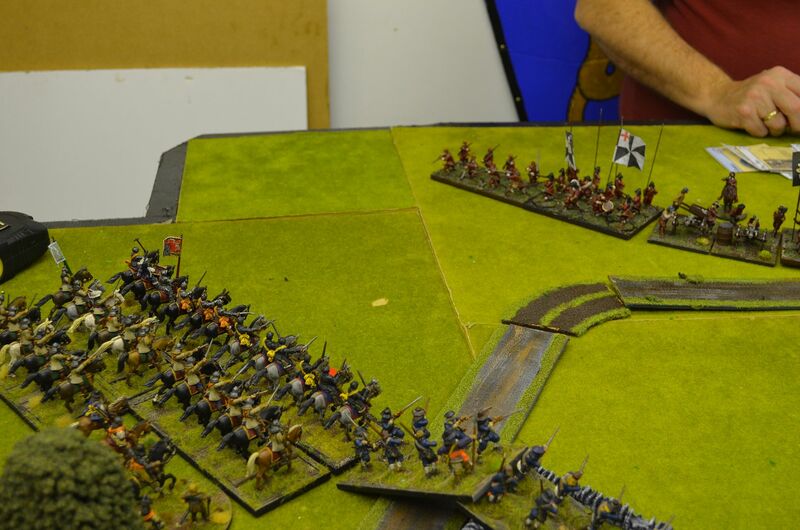 So I have kicked off Napoleonic skirmish. 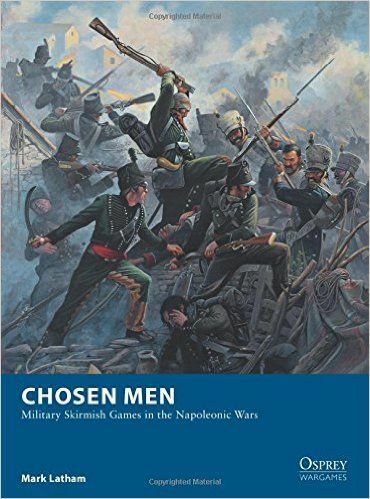 The first troops arrived back at the beginning of February as an order from Warlord Games and their great deal on Army builders - I settled on the British peninsular with a box of Rifles, Peninsular Infantry, light Dragoons, a n artillery piece, mounted commanders and a mule train. 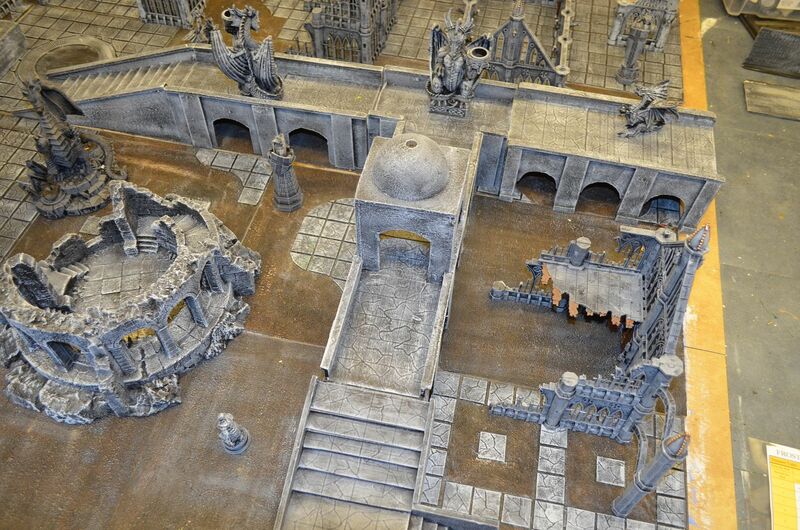 The plastics are all assembled and just need a coat of paint. A quick read through the rules suggest that these will be fast and furious - perfect for the games in the shed. 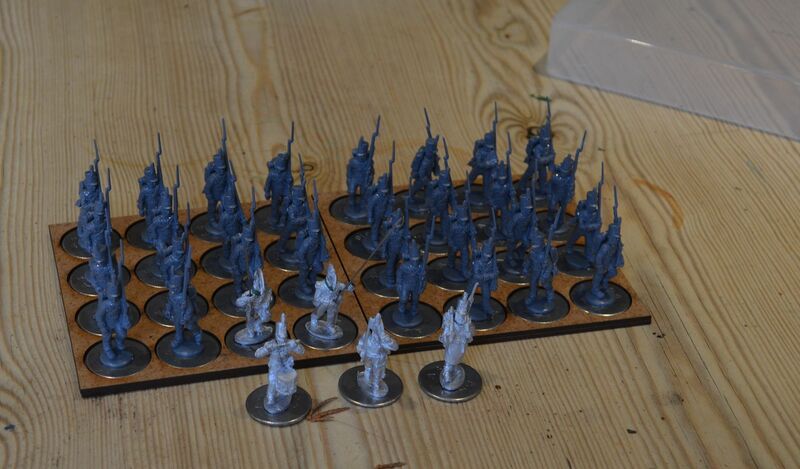 14 British Light Dragoons from Perry - the sprues actually come with enough kit to make a further 14 riders - just need to find some spare horses. 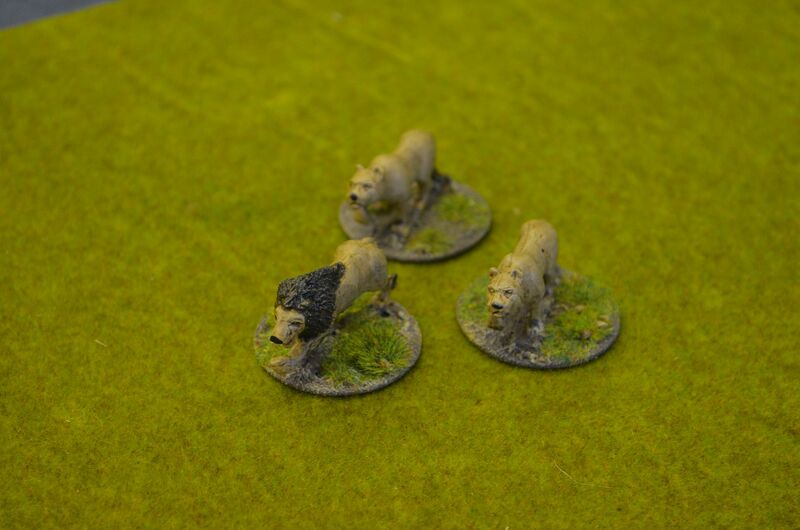 and of course the British Rifles - these loom fantastic figures. Full of character. Some of the free standing town houses even have flower beds ! 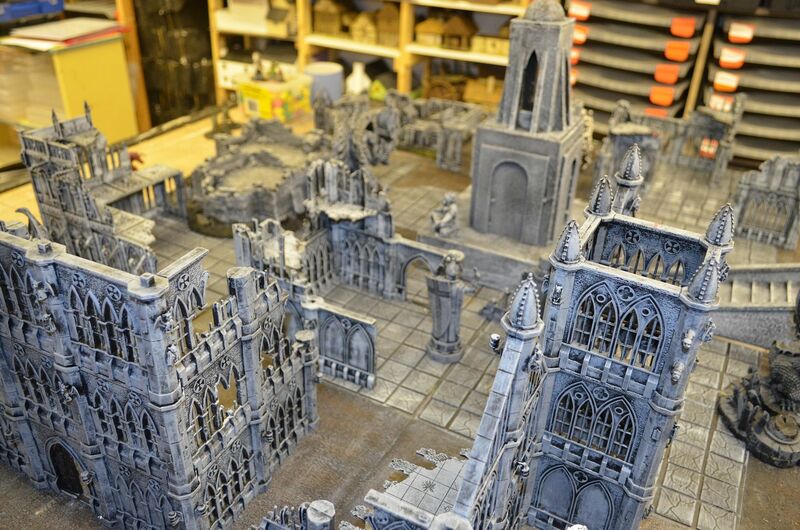 The green boards I have laid this out on don't do the building justice. 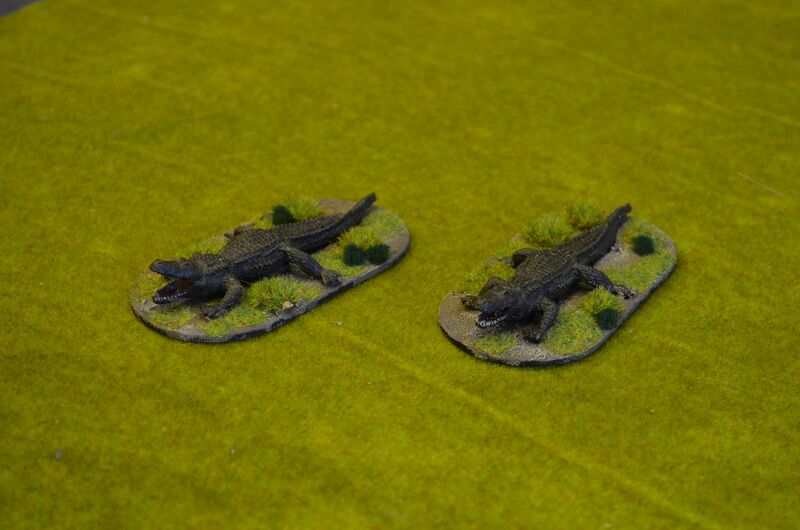 They'll probably look better on my desert boards. 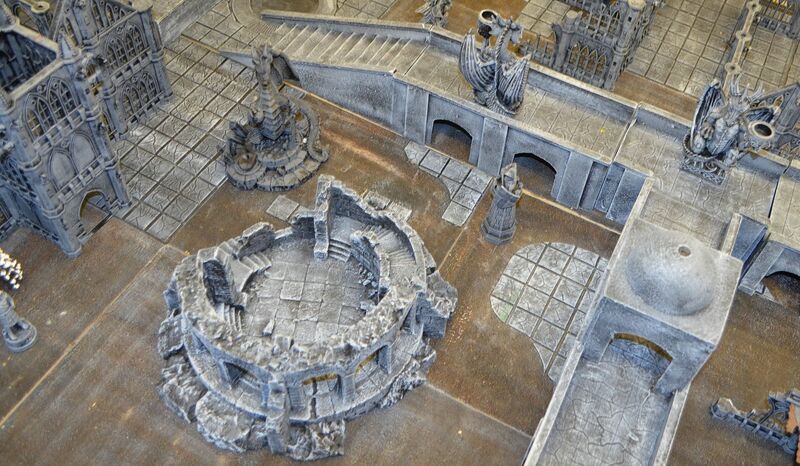 At a push these buildings will also serve well for my pirate games.